Sometimes you just want a little comfort food that is easy to eat. 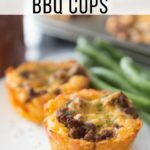 These Farmhouse BBQ Muffin Cups are a perfect Keto friendly recipe. The little ones like that they are like a muffin, and you’ll love how fast and easy they come together for busy weeknights. Early in our marriage, one of our favorite recipes was Farmhouse BBQ Muffins. I had found the recipe in an old Taste of Home cookbook, and we enjoyed it often for dinner. 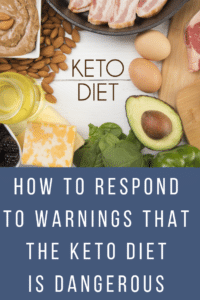 A couple of weeks ago, my hubby and I were talking about how I might be able to tweak some of the foods we used to eat so that they were low carb/keto friendly, which got my wheels turning. After being gone most of the day today, I didn’t have a lot of time to make dinner, so I knew I wanted to make something quick & easy. Initially, Chicken Pot Pie came to mind, but I hadn’t put the chicken in the crockpot earlier in the day. I think chicken tastes so much better after slowly cooking all day. I don’t know what jogged my memory, but Farmhouse BBQ Muffins came to mind, which worked out perfectly because I had ground beef that I needed to brown. 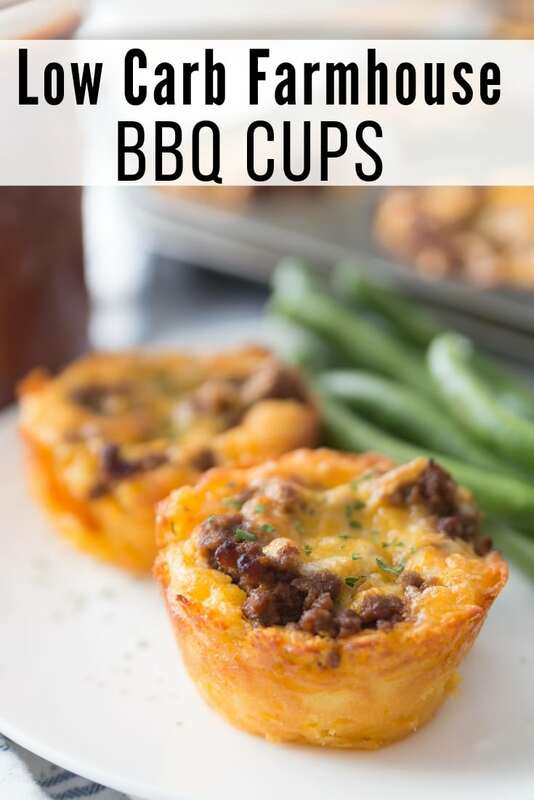 These quick and easy Farmhouse BBQ Low Carb Muffin Cups are very similar to my Taco Cups with a little twist on the seasoning for the ground beef. They turned out amazingly delicious, and everyone loved them. While the ground beef is browning, you can whip up a quick batch of BBQ Sauce. 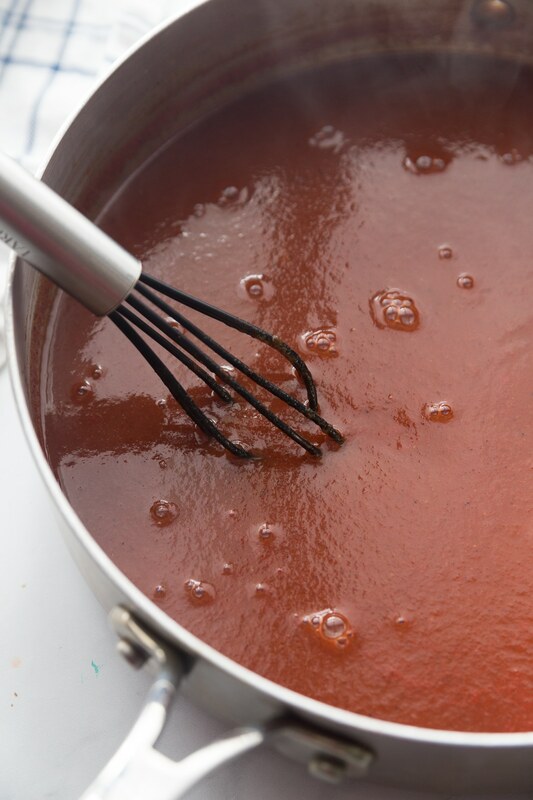 My homemade Sugar-Free Low Carb BBQ Sauce recipe takes this recipe up a notch and gives the ground beef an authentic BBQ flavor. If you don’t have time to make it, you can find sugar-free BBQ sauce online and possibly in your local grocery store although it is not as tasty as the homemade version. Once the ground beef is browned, add the tangy sugar-free, low carb BBQ sauce and allow it to simmer, so that all of the flavors incorporate. If you keep ground beef already browned on hand, this step will be even faster. You can read how I do this in my 5 easy steps to meal prep. 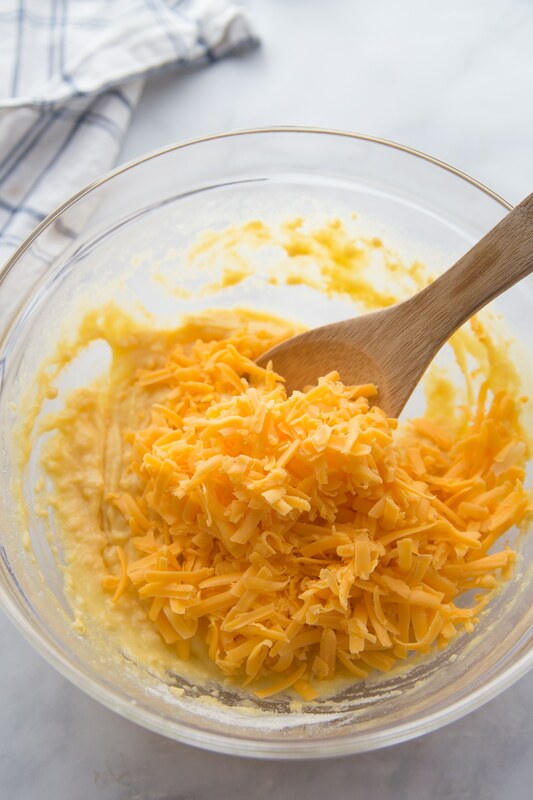 The keto biscuit cup of this recipe comes together quickly with just a few ingredients. Tip: Low carb flours tend to be very sticky. Make sure to grease your muffin tin generously to keep the Farmhouse BBQ Low Carb Muffin Cups from sticking to the pan. 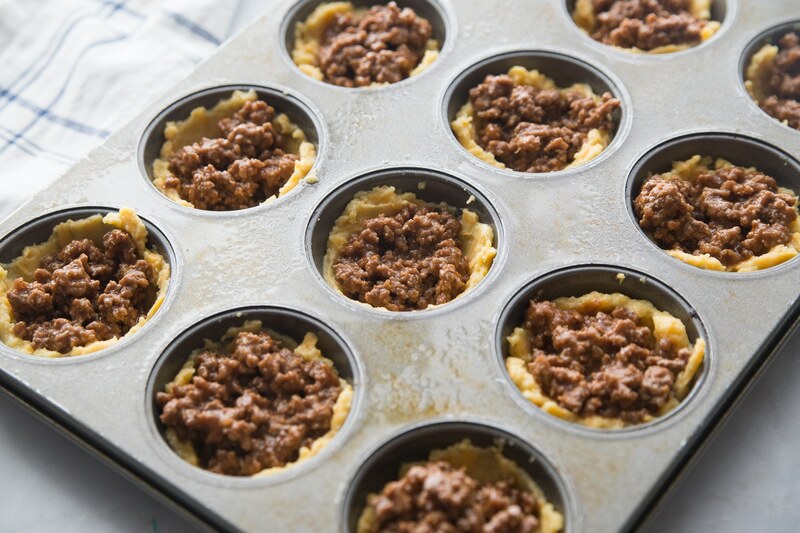 Form the keto biscuit dough like a cup in the muffin tin with your fingers leaving room to fill with the ground beef mixture. 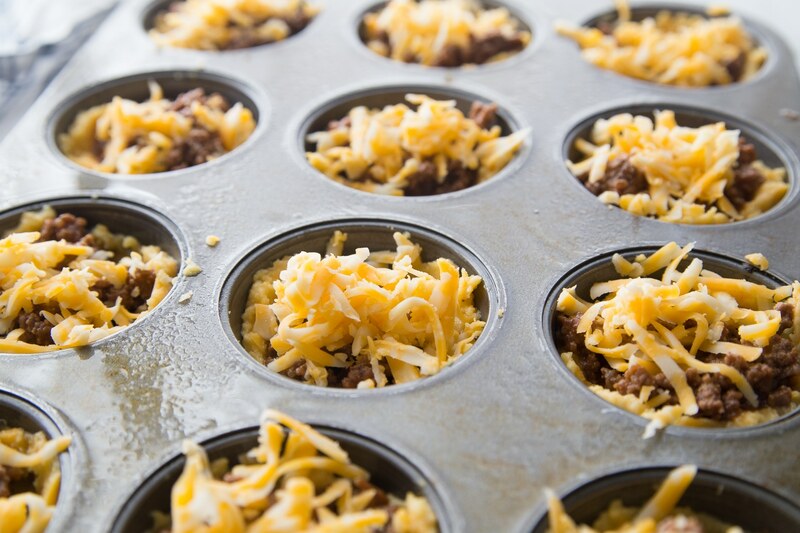 Spoon in the ground beef mixture into each muffin cup. 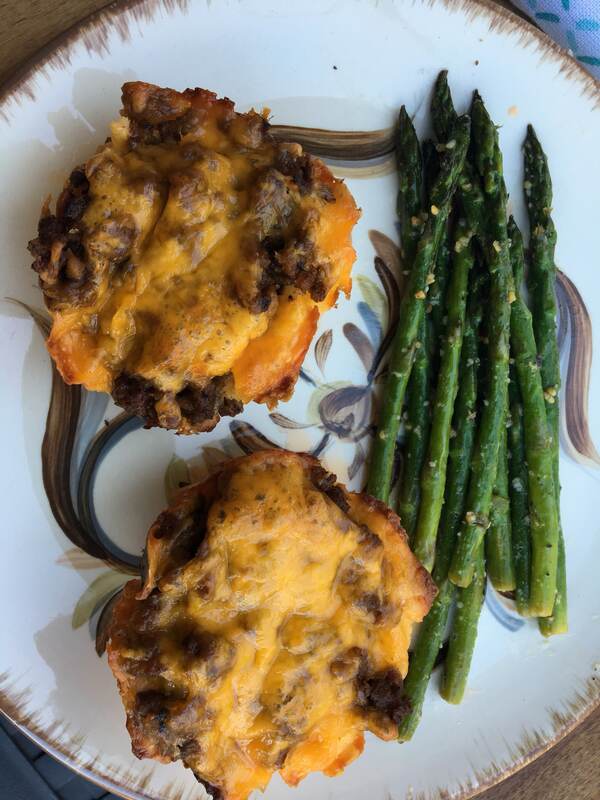 I like to top the Farmhouse BBQ Low Carb Muffin Cups with a mixture of Colby Jack Cheese for the depth of flavor. Yum! 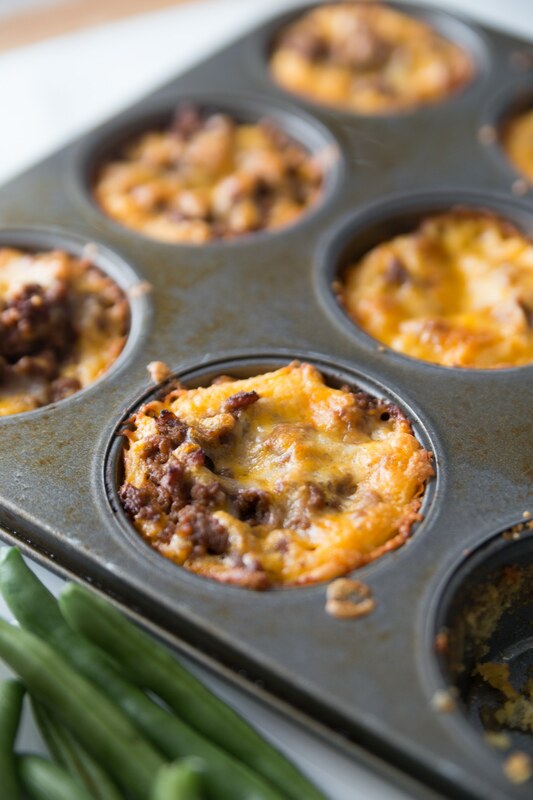 Farmhouse BBQ Low Carb Muffin Cups are easy, delicious, and family friendly. Everyone always loves them and asks for more. 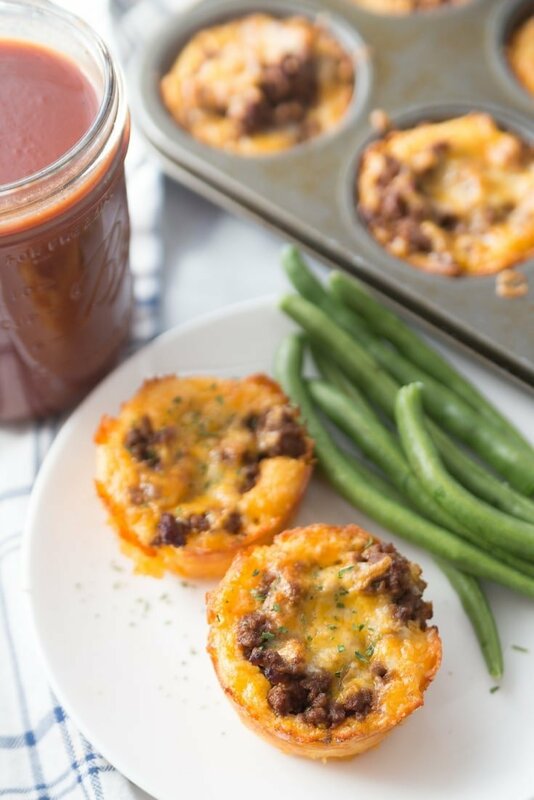 Farmhouse BBQ Low Carb Muffin Cups are loaded with tangy sugar-free, low carb bbq sauce and cheesy goodness for an easy and delicious keto dinner idea. 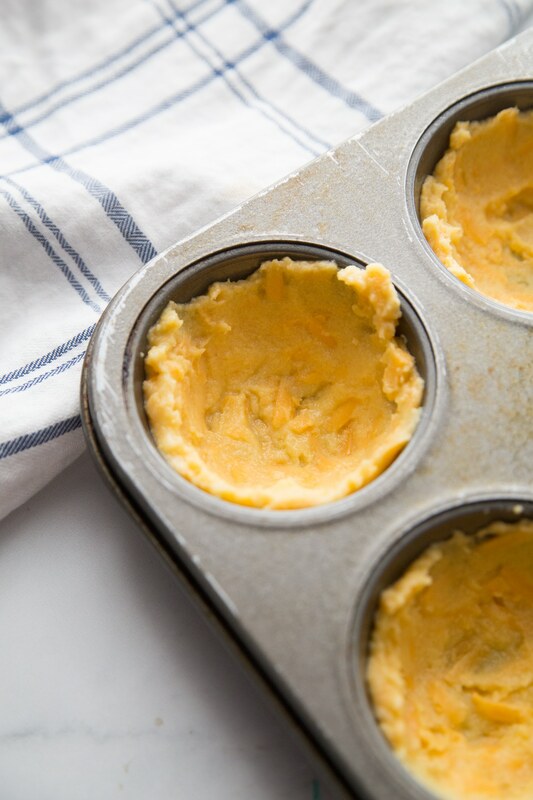 If you love our simple Farmhouse BBQ Muffin Cups, then I know you will enjoy checking out all of my family favorite recipes in my Keto Recipes Index. 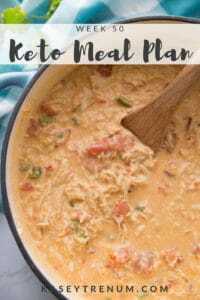 With tons of delicious sweet and savory options all perfect for the keto diet, you will love this tool. I’ve shared a few more favorites below for a quick start to your menu! Sometimes you just want a little comfort food that is easy to eat. 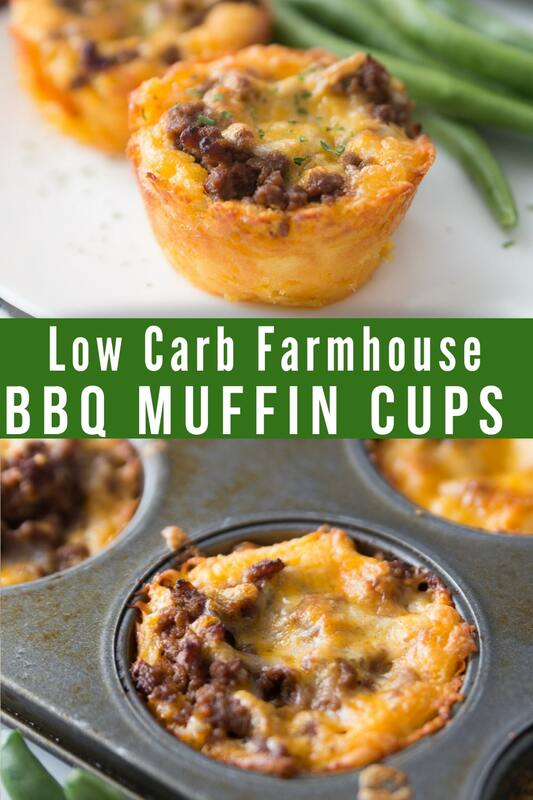 These Farmhouse BBQ Muffin Cups are a perfect Keto friendly recipe. Brown 1 lb of ground beef and drain. 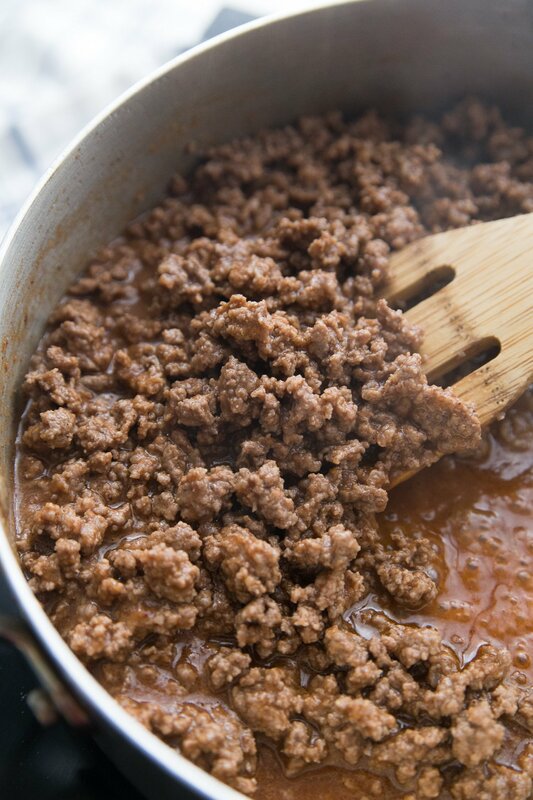 Add ground beef and 1 cup of sugar-free bbq sauce to skillet. Bring to a boil and simmer for 5 minutes then remove from heat. Preheat oven to 400 degrees and grease a muffin pan. (I used parchment paper squares in the muffin tins to prevent sticking.) If you don't use parchment paper squares make sure to grease the muffin tins generously as coconut flour tends to be sticky. Combine melted butter (I cool mine by popping the bowl in the fridge for 5 min), eggs, salt, and sour cream then whisk together. Add coconut flour, baking powder, garlic powder, and salt to the mixture. Then, spray fingers with cooking spray. Pat the batter around the sides of muffin tins to form a cup. Spoon 2 tablespoons of the BBQ meat mixture in the center of each muffin. Sprinkle the grated cheese on top. The nutritional information was calculated using my homemade sugar-free low carb bbq sauce recipe. The sugar alcohols in the Monkfruit Golden are not included as most subtract to calculate net carbs. Thank you for posting this! My family loves the ones we used to mgake with grands biscuits. I can’t wait to make these. Everyone in my family loved this recipe! Thank you for sharing. Does the nutrition info equal one muffin? Yay! Glad you all enjoyed it! Yes, it is for one muffin. Is there any way to substitute the coconut flower for almond flour? Would the measurements be different? Yes, but they are not 1:1 substitutions for each other. 1/4 cup coconut flour = about 1 cup almond flour. Do you think I could use parchment muffin liners? Can you tell me what the texture of the biscuits are like? I’ve made so many recipes with coconut flour and now tend to shy away from them because of the dryness. This recipe looks delicious and I don’t mean to be insulting but I’m a little nervous to waste anymore ingredients. Thank you in advance for answering. If you don’t like coconut flour, you may not like these. You can sub almond flour, but you’ll need 4x as much. I made these last night and didn’t notice any dryness! There wasn’t any kind of coconut taste or anything, and I was pretty pleased with the crust. It came out nice and flaky, and made all the picky eaters in the house happy. So glad you all enjoyed them. I am not a fan of BBQ sauce. 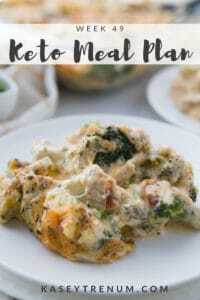 I was wondering if I could make it without or if there was something else I could use like maybe a Keto white sauce? Thoughts? Feel free to sub whatever sauce you prefer. Of course, I can’t guarantee the outcome, but I would think it would turn out well. Want to make for dinner. My question is do I use a regular muffin tin or are you using a mini muffin tin? I love your recipes. They can definitely be frozen. We are not a keto family. 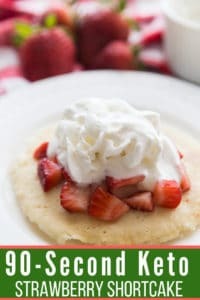 How would these be made with regular flour? I would search Pinterest for a recipe for traditional farmhouse bbq muffins. Is this recipe gluten free. I’ve just started eating gluten free and it’s hard to find recipes. 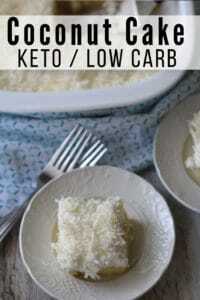 I love this recipe and I’m wanting to try it. Please let me know as soon as you can get to it. Thanks for sharing the recipe.